Uniform shirt. 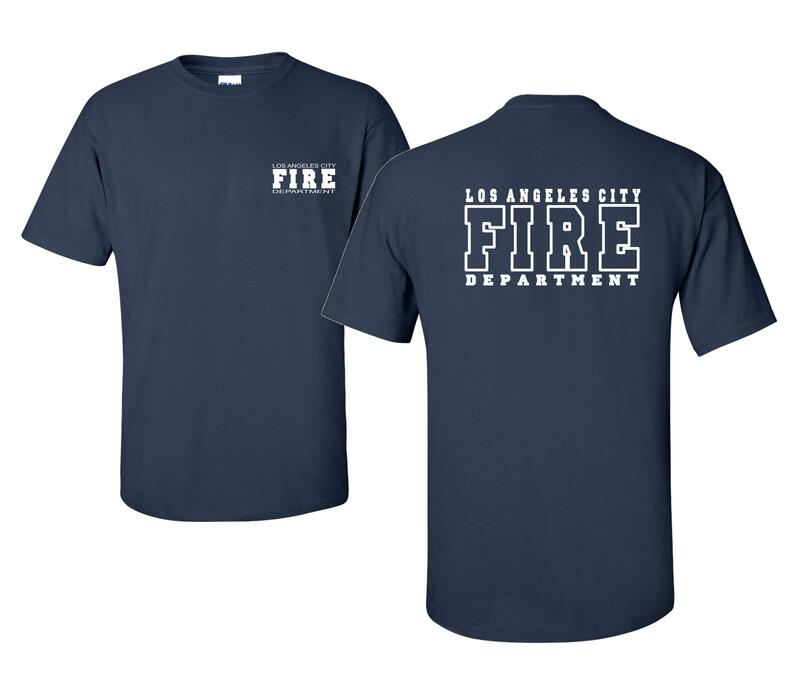 Short sleeve navy blue t-shirt with white lettering. Small letters on left Chest area. Large letters across the back.